Grab this ultra-stylish and modern CARNIVAL Luminous Tritium Watch and be amazed by it’s revolutionary luminous feature that lasts longer than your usual old tech watches! Comes in various designs, you can choose from black, grey or silver stainless-steel band and go for that sleek look. Better yet, why not go for a more casual look and get the leather band variant? Whatever the occasion, this watch will surely match your style and mood. Packed with amazing features like a complete calendar, shock-resistant and water-resistant you are definitely getting value for your money! ⇨ Made of hardlex crystal combined with a stainless-steel strap and case, this CARNIVAL Luminous Tritium Watch means business when it comes to quality and durability. ⇨ An amazing and revolutionary feature that makes this CARNIVAL Luminous Tritium Watch a cut above the rest. A luminous watch that is designed to last a lot longer than a regular luminous watch. You’ll be amazed at just how this watch can still shine bright like a diamond after so many years! ⇨ Stylish yet practical, you’ll be happy to know that not only is this watch a beauty, it’s also water-resistant! 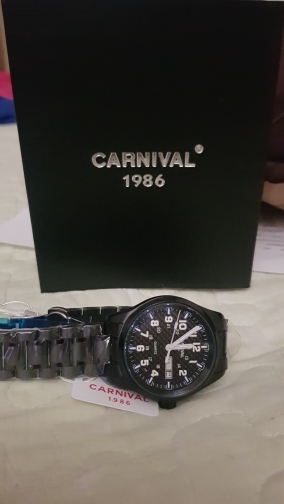 This CARNIVAL Luminous Tritium Watch has safe a water resistance depth of 3Bar. Amazing. Amazing. Amazing. 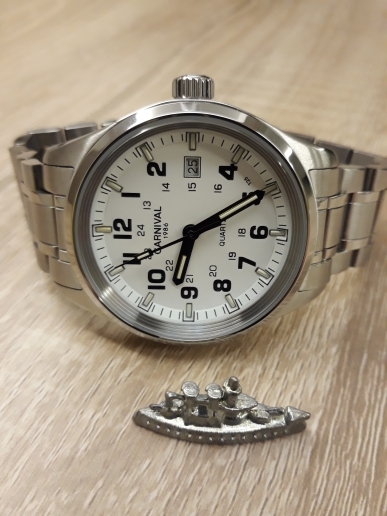 The watch arrived fast and in good condition. Perfect gift and comes with a nice box. The dial appears to be the new design without logo. Tritium is bright for a T25. Keep good time but need to monitor longer. Green tritium is the brightest. Quality is better than expected. Rhonda movement is cheap and good. Very happy with the purchase. Prompt delivery. 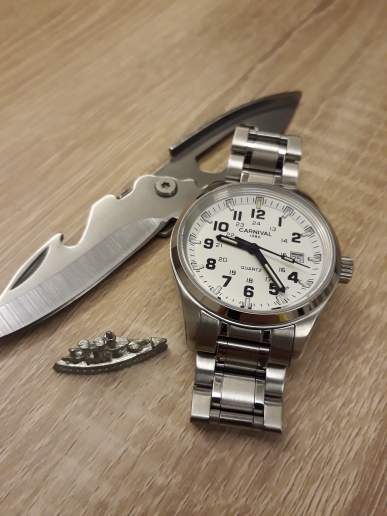 Watch Week in use. All great! The clock. After a month to use no comments.